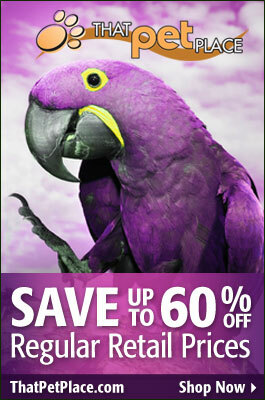 Good parrot care begins with a thorough understanding of parrot natural history. Parrot ancestors arose 100 million years ago…your own intentions, however well-meaning, will never overpower the instincts that have evolved since then. This is a very important point to keep in mind – parrots are wild creatures, driven by instinct, and, even after many generations in captivity, are in no sense domesticated (i.e. as are dogs or sheep). They do have remarkable learning abilities that often enable them to modify their instinctual responses. However, when considering parrot care and training, it is paramount that their true natures be considered. Researching natural history should be the starting for learning about the captive care of any creature, be it spider, budgie or elephant. This is well-known in the zoo world, and has never failed me. However, perhaps due to the wide availability of pet care info, parrot owners sometimes tend to skip natural history books altogether. It doesn’t help that such books are rarely written these days. Books such as Joseph Forshaw’s classic Parrots of the World will provide you with direct observations of what your parrot actually does in the wild. Knowing about such matters as habitat, enemies, feeding and breeding biology, social structure and cycles of activity is critical. This will help you understand what you are seeing in captivity, and enable you to better meet the pet’s physical and psychological needs. 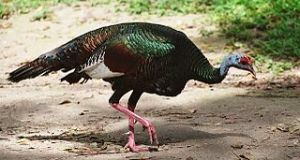 I frequently post articles on parrot natural history on this blog as well… please see the article below for an example, and feel free to write in concerning your bird. Unfortunately, captive behavior can be confusing, even for those well-versed in the natural behavior of parrots. This is because natural habitats and social situations are impossible to duplicate in captivity, and pet parrots are exposed to situations that evolution has not prepared them for. So they react as best they can, and in many cases we are unable to understand what is going on. A complete review of this subject would fill several books. Following are some basic concepts that will hopefully illustrate the importance of understanding your parrot’s “wild side”. 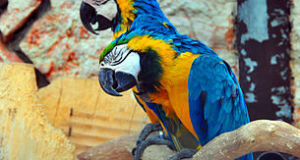 Parrots and their eggs are on the menu of a host of predatory birds, mammals and reptiles. They are primed to be alert, to (usually) stay above possible threats, and to rely on warnings from both companions and other bird species. A single parrot in an exposed location may be terribly stressed, even in predator-free surroundings. When observing wild parrots, I’m always amazed at the degree of social interaction and communication that goes on between mates and flock members. 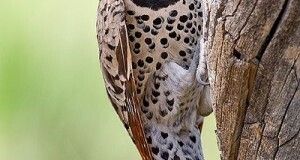 The group is usually as important as the mate. As with dogs, the innate sociability of parrots can be exploited to our benefit (deprived of companions, they bond with us), but please understand that even a mated captive pair is not living in a natural situation. Likewise, an hour or two of your company in the evening in no way fills a parrot’s social needs. Vocalizations are critical to survival. Expecting a quiet parrot is usually not reasonable, but understanding parrot sounds may make life easier for both of you; please see the article below for details. Parrots spend most of their time – hours each day – finding and processing food. Pets that can meet their needs in 10 minutes at the food dish are left with a great deal of time on their hands (or feet, as the case may be)…boredom is one of the chief impediments to a happy, healthy pet parrot. What is my Parrot Saying? Next: Bird Research – Parrot Parents Give Specific “Names” to their Chicks!